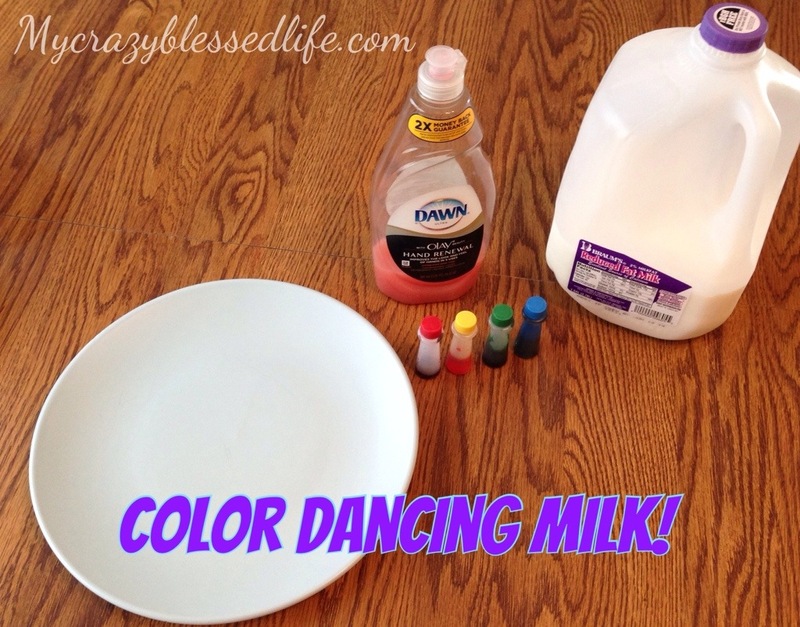 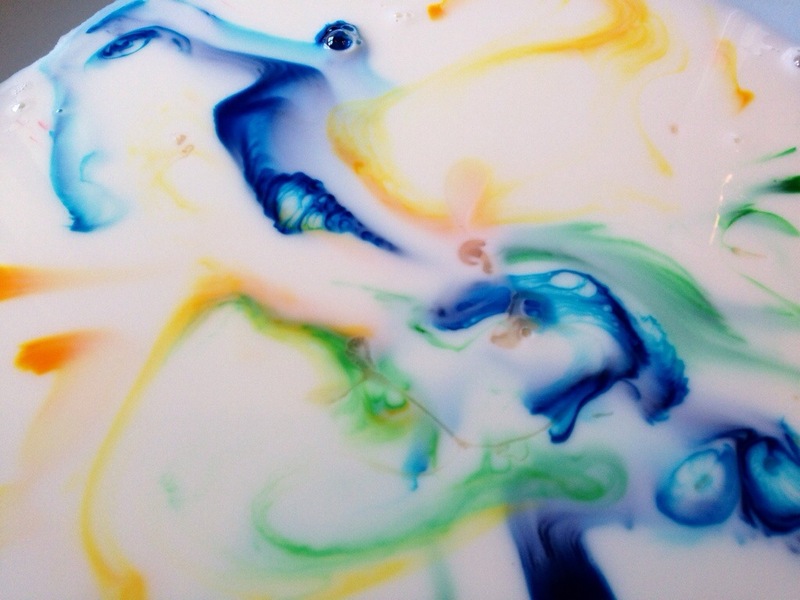 Dancing Colors Milk Experiment | My Crazy Blessed Life! 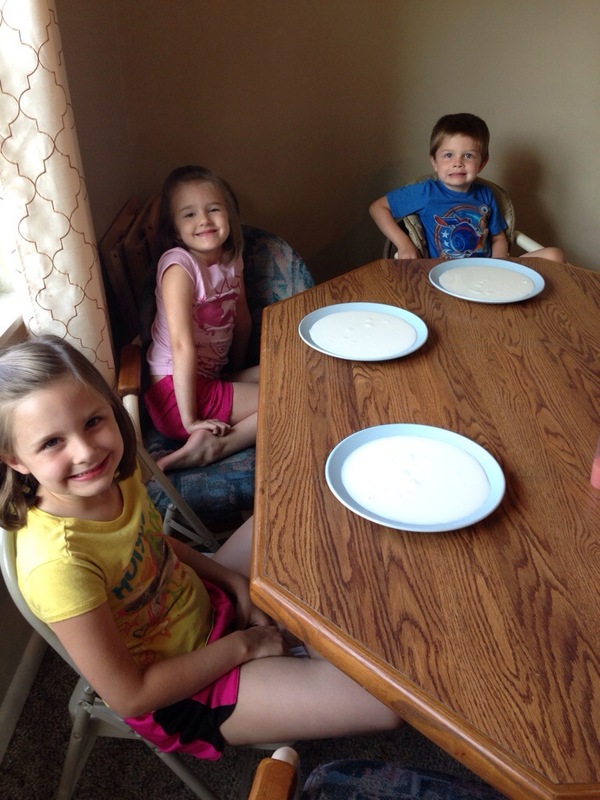 Seriously that’s all you need! 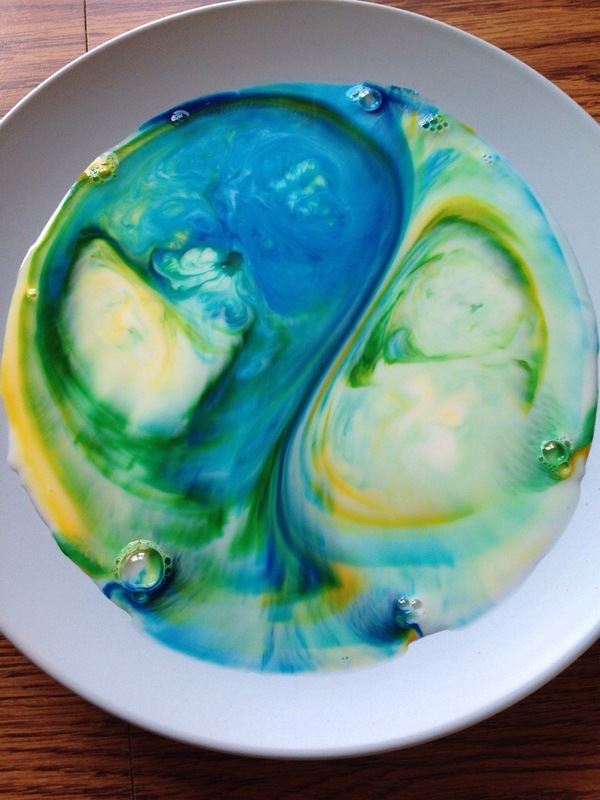 My littles love easy experiments that they can do themselves. 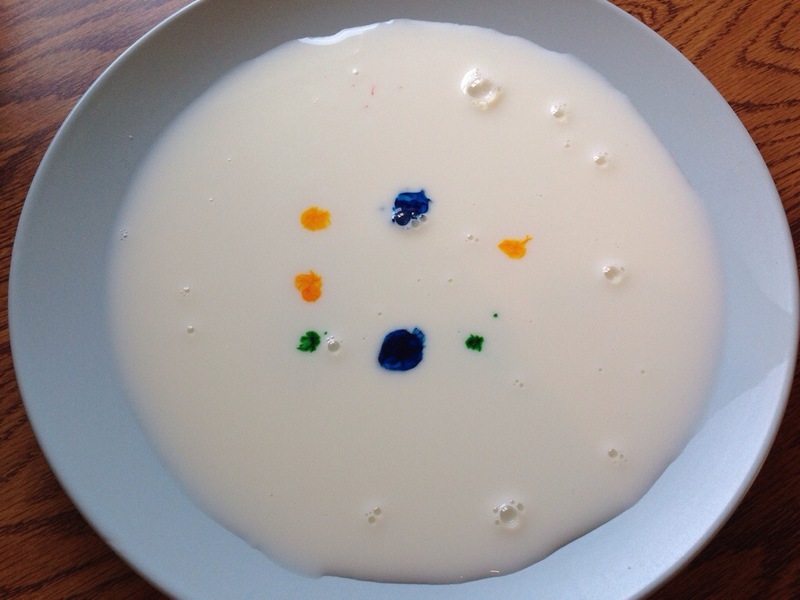 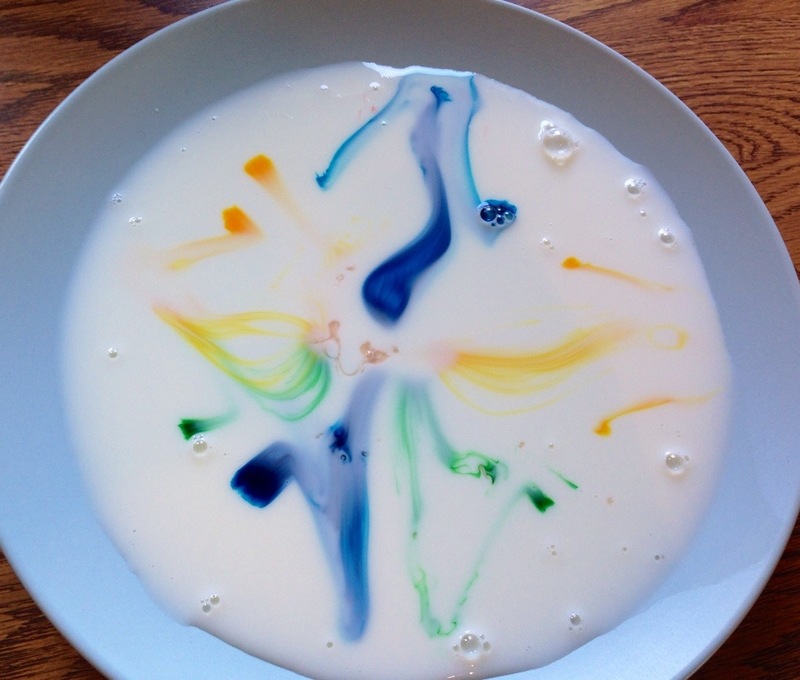 First pour milk in your plate. 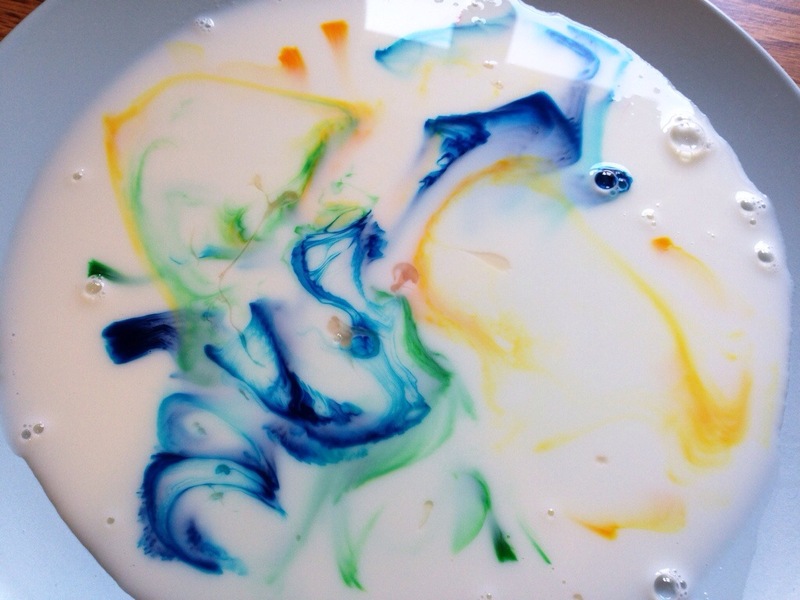 Next drop a few drops of food coloring into your milk. 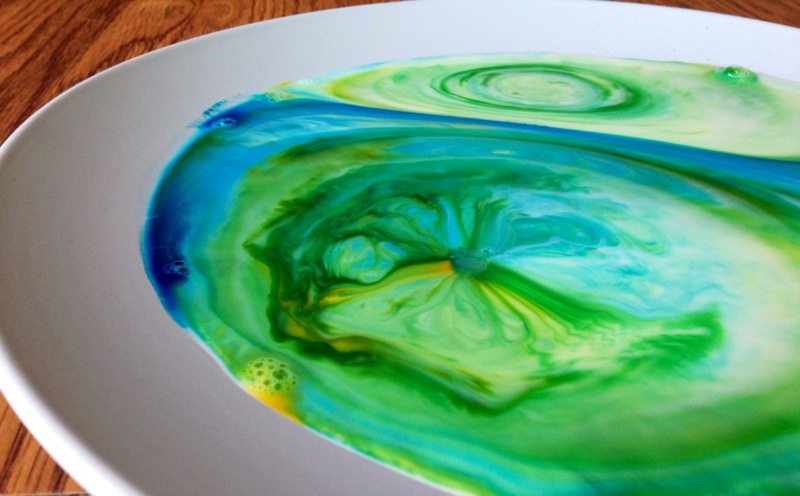 Then drop one drop of soap in the center and watch the colors dance!